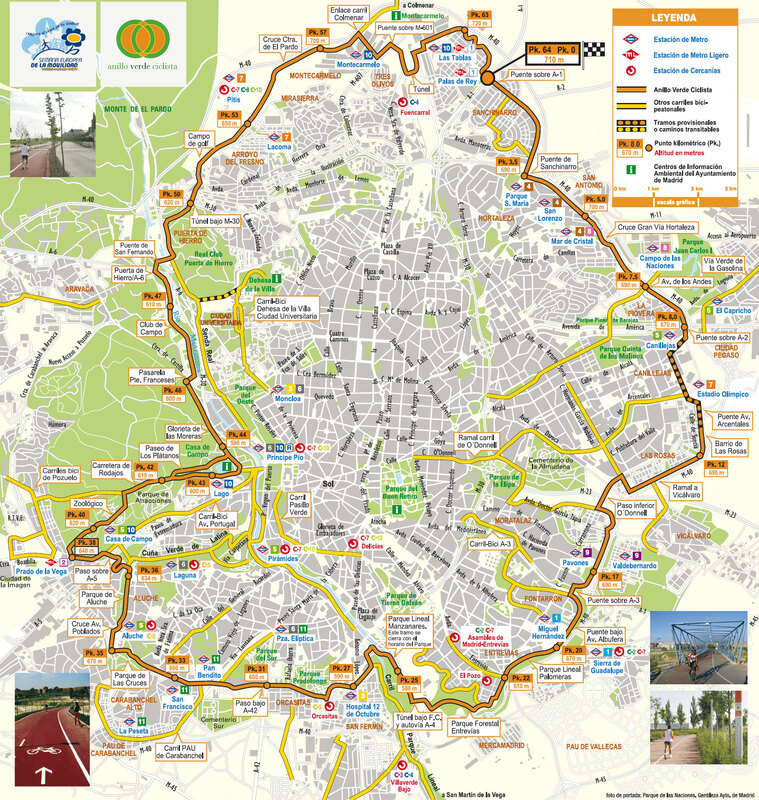 You can find on this page the map of Madrid bike route and the map of Madrid Bicimad stations. The city of Madrid has undertaken considerable efforts to develop the use of bicycles by creating miles of trails and bike paths, a system of bike sharing and also cycling routes to move easily in Madrid. The Madrid bike network is important thanks to a strong policy to develop the dedicated cycle path initiated by the city of Madrid. Many dedicated lanes for cyclists have been built to facilitate coexistence with motorists. Bike routes were created to help people enjoy the city. 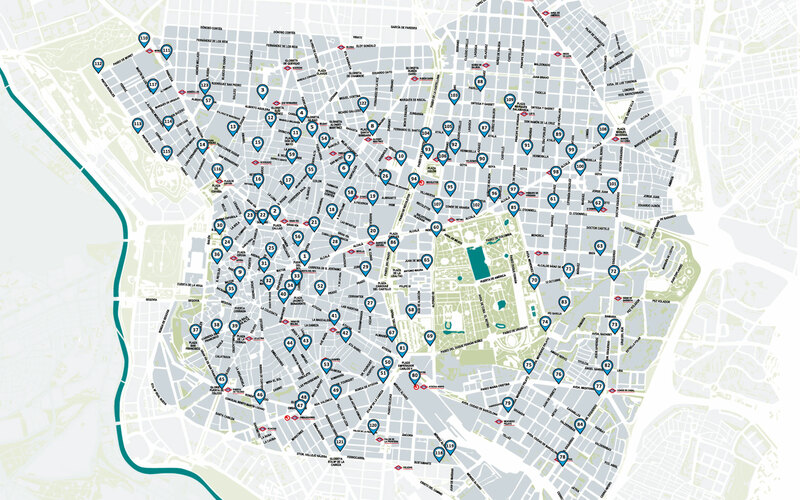 Bicimad is the public bicycle sharing system in Madrid available since 2014. Established by the city of Madrid, the system is operated by Bonopark. The network offers 1,650 bikes available over 123 stations.